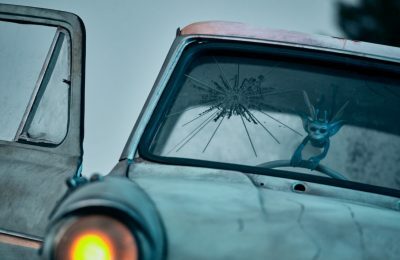 Universal Orlando has revolutionized interactive game play during Halloween Horror Nights to incorporate online and in-park games. Last year, Halloween Horror Nights 22, was a huge step for Universal Orlando with Horror Unearthed, which incorporated the use of RFID technology to track the progress of players into an online database which also included online games. 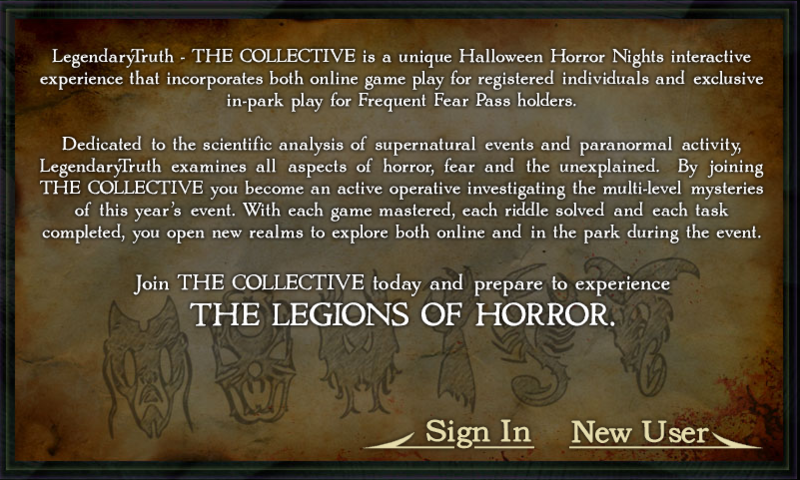 Universal will continue the tradition of interactive game play through Legendary Truth – The Collective this fall for Halloween Horror Nights 23. 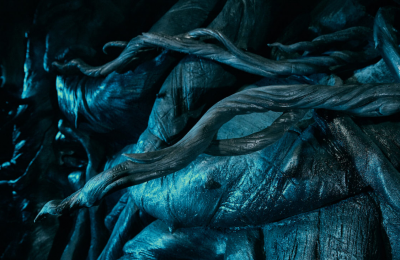 Universal’s Art & Design Team is known for creating elaborate stories. 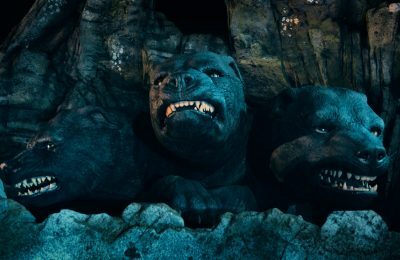 The story behind Horror Unearthed was that Universal began construction on Transformers and broke the bedrock, releasing the Iniquitus. The Iniquitius in turn released the six legions of horror: the Morphans, the Strengoit, the Cerebin, the Kerezan, the Maschorian, and the Baccanoid. The story seems to continue into this year where you can become part of the Collective and “prepare to experience the Legions of Horror”. If you took part in Horror Unearthed last year, your account should already exist and you should just be able to choose the “sign in” option. However, if you didn’t participate in Horror Unearthed last year, you’ll need to create an account. Don’t worry though – it’s totally free to sign up for. As part of Horror Unearthed last year, they asked your for your mobile phone number last year so they could send you text message updates. It fell through in the very beginning of the event last year, however, it seems that Universal Orlando might be trying to fix some of the issues that surfaced during game play last year as I received a text message when I completed my registration. One of the biggest issues was service available for many carriers, which inhibited game play for many users as they could not receive text message and they also used Facebook to communicate with online game players. Universal Orlando has recently added a wifi hot spot around the construction site of the Wizarding World of Harry Potter – Diagon Alley. This is a good sign for Legendary Truth this fall as Universal may opt to add park-wide free wifi. 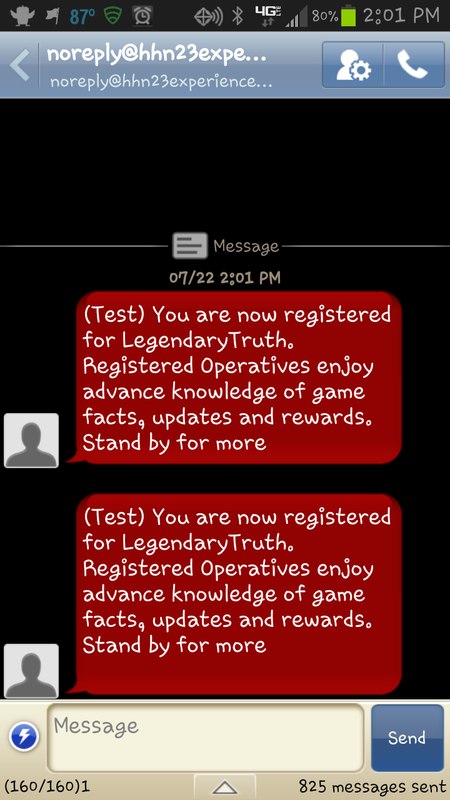 Currently, you can only sign up for Legendary Truth, but we can expect the actual in-park fun to begin on September 20th. 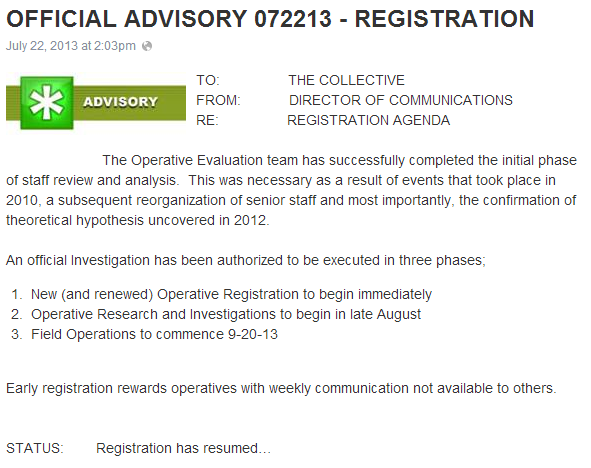 Stay tuned for more information, and don’t forget to register for your free Lengendary Truth account. 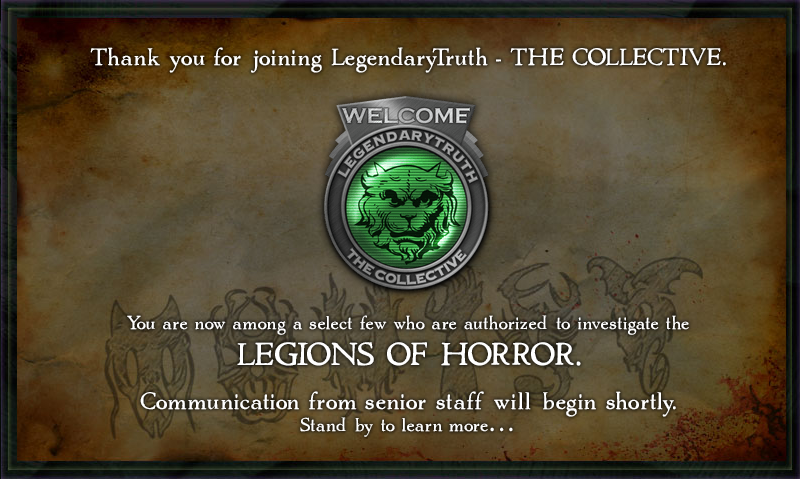 To participate in Legendary Truth, click here to register.